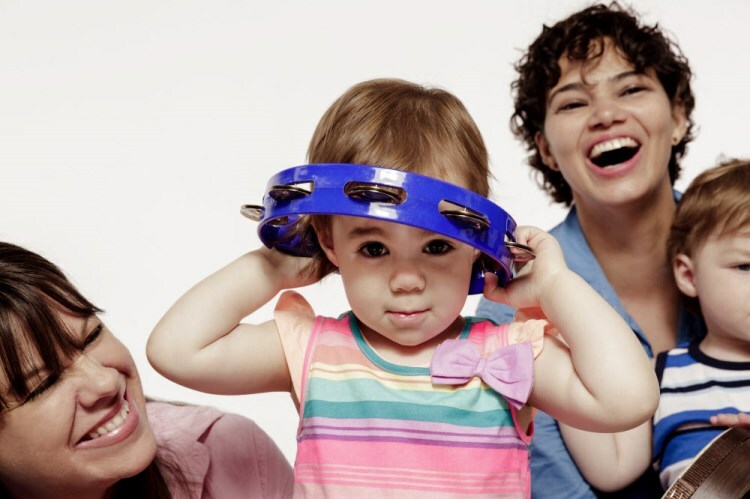 Demonstration classes typically last 40-45 minutes and include a mix of the songs and activities we might enjoy in a regular Music Together® class. Don't worry about knowing the music - we always include some songs you're likely to know, as well as songs that might be new for most people. We never put parents or children on the spot to sing! We do ask that parents minimize adult conversation during the demo class, to help preserve the musical "mood". Don't worry about your child's participation! Your child may sit quietly on your lap and watch, join right in, or explore the space. Whatever your child does in the demo class will be just fine. Even if your child doesn't seem to be paying attention in class, you may notice your child re-enacting some of our class activities at home! Please make yourself comfortable and....ENJOY!! !